DXPocket - DXPocket™ is a fast, stable, low-traffic, and easy-to-use DX Cluster program for Android-powered smartphones and devices. DXPocket monitors the DX Spots and Announcements available on the Internet at DX Summit web site and presents the information in a sortable grid format. With a few taps you can find a required station in the Cluster, obtain DXCC information of selected DX, send DX Spot or Announcement. DX Alert - You can set up DX Cluster alerts and let the DX Alert server monitor the cluster for you. So your device is not directly connected to the DX Cluster. When a spot that matches an alarm is seen a notification appears on your android device. Spot - Intelligent DXCluster Client - Reliable amateur radio software for OS X and Windows that works the way you expect. Spot allows you to chase the DX that really matters by putting you in charge of which DX spots you need to see and alarming you when they appear. Windows Telnet to ComPort cross connect - This program lets you cross connect Telnet connections and ComPorts or Ethernet. It can be used as a backup connection for PacketCluster nodes or to connect a CT network to a remote PacketCluster. Ham Call Lookup - Windows Phone - Ham Call Lookup is an windows phone app that allows you to perform amateur radio callsign lookups via QRZ.COM. It also incorporates DX cluster feeds, DXCC information retrieval and Solar data all within one application on your Windows Phone. For callsign lookups, the application uses the QRZ.COM XML interface, please register at QRZ.COM for an account if you do not already have one. The application will happily work with a free QRZ.COM account although it is recommended to use a paid account, as a minimum the XML Logbook Data paid option, in order to access the full functionality of callsign lookups within the application. 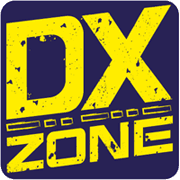 DxSpot - DxSpot is your mobile access into the Amateur Radio DX cluster network. With DxSpot you can connect to the DX cluster of your choice. The internal database supplies the connection parameters to over 300 DX clusters. Once connected enjoy formatted table views of DX spots, DXCC information, connected users, cluster announcements, colorized WWV propagation data, and keep current with the latest DX news. DxSpot for iOS - DxSpot is your mobile access into the Amateur Radio DX cluster network for your iPhone, iPad or iPod touch. Commercial application.